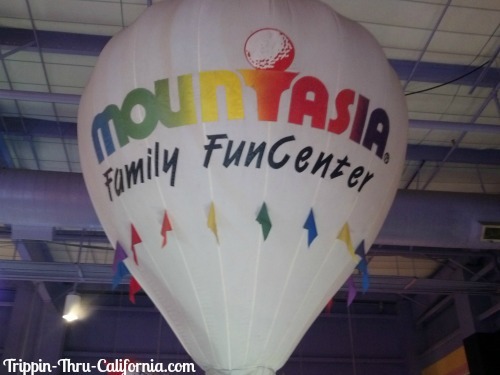 What is there to do at Mountasia Family Fun Center? 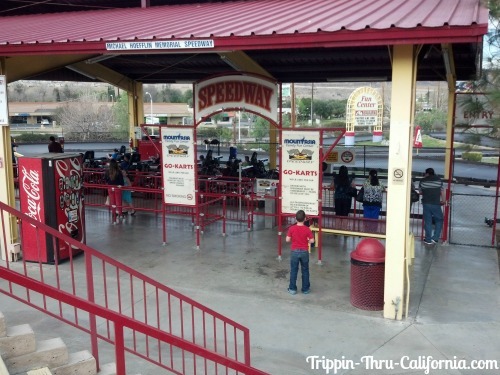 Miniature Golf, Speedway Go Karts, Bumper Boats, Batting Cages, Arcade Games, Lazer Tag, Rock Climbing Wall, Parties and you can have a delicious meal at Farrell's Ice Cream Parlour & Restaurant. Yummy! 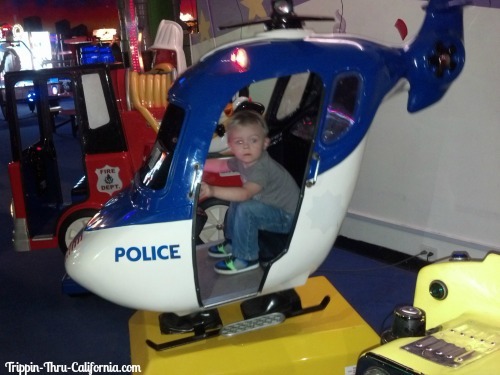 Click on any picture on this page to view a gallery of all the pictures on this page. Enjoy! 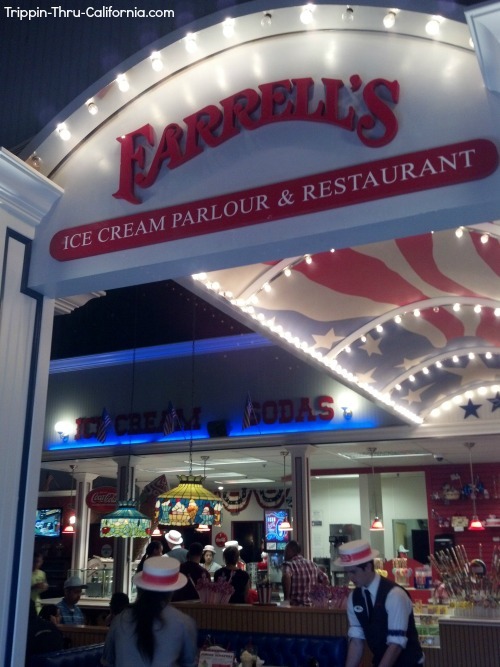 When you first walk through the entrance, you see the famous Farrell's Ice Cream Parlour & Restaurant. They have a pretty great menu. 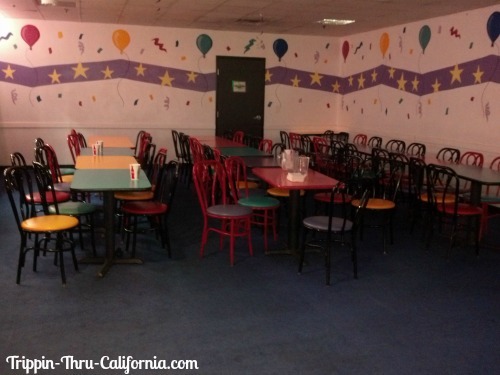 Appetizers, Sandwiches, Burgers, Gourmet Pizza, Salads and of course lots of different ice cream sundaes and Belly Buster ice cream dishes. I got the Health Nut Salad, it was really good! And my husband got a Classic Cheeseburger and Fries. He said it was one of the best he had in a long time and he told me to tell you that! 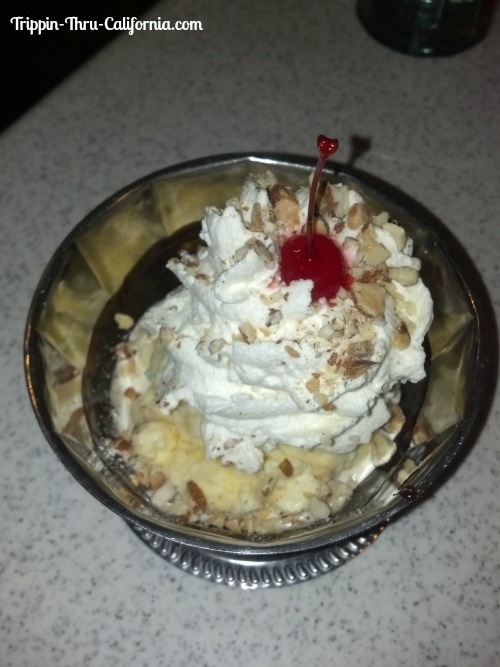 Pictured below is the Hot Fudge Sundae I ordered for dessert. (Hence the reason why I got the health nut salad!, LOL) Wow! That was soooo good! 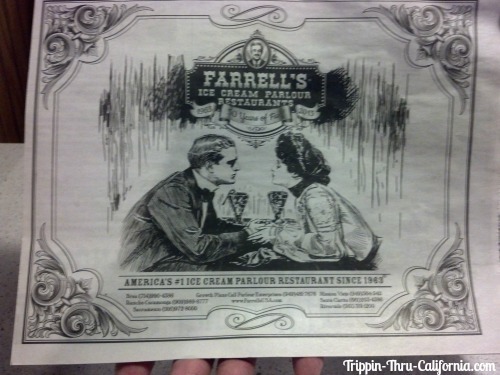 The vanilla ice cream itself was top notch! My daughter got the Adult Grilled Sandwich with tomatoes and jalapenos, she acted like she'd died and gone to heaven! Yeah...that good! 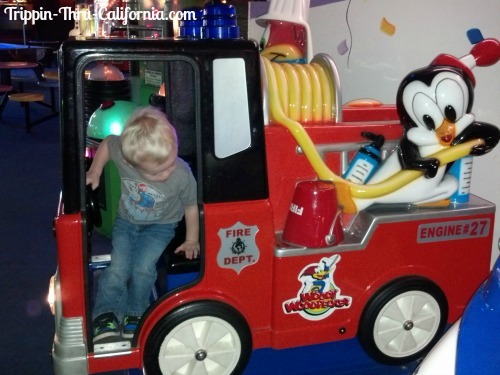 My Grandson (2) got the chicken fingers off the kids menu but he was more interested in going to the Arcade to play games, LOL! Remember the old newspaper style menus? They still got em! 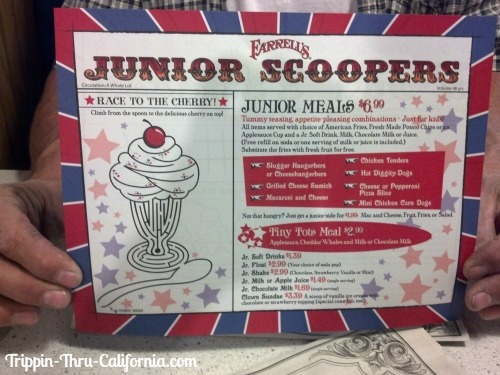 And a kids menu too! 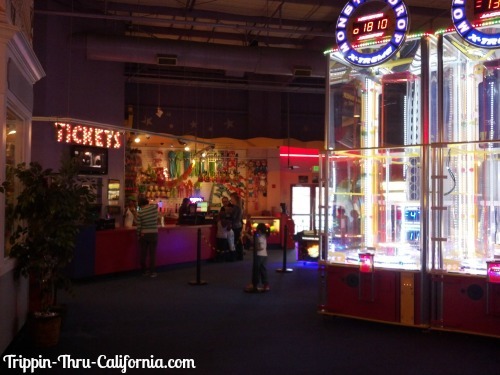 In the arcade, you'll find games for just about any age. 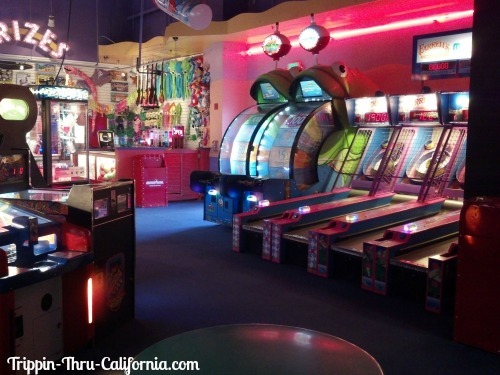 A Mountasia Family Fun Center Play Card is required to play all attractions. 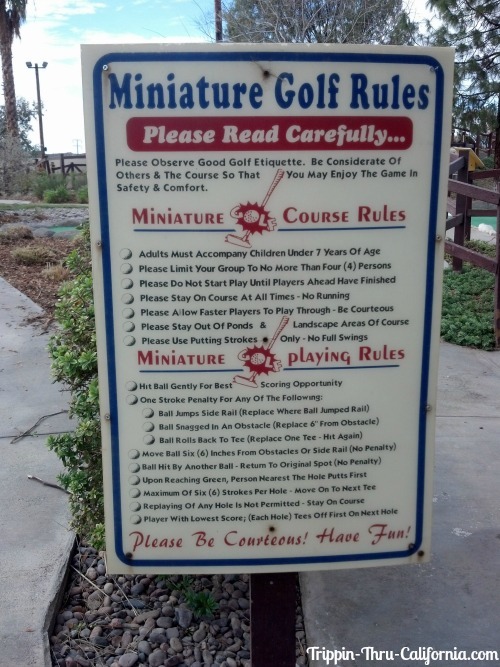 It's like a credit card that you add money to then all you have to do for each game is swipe your card. Save the card and receive free offers and bonus points. 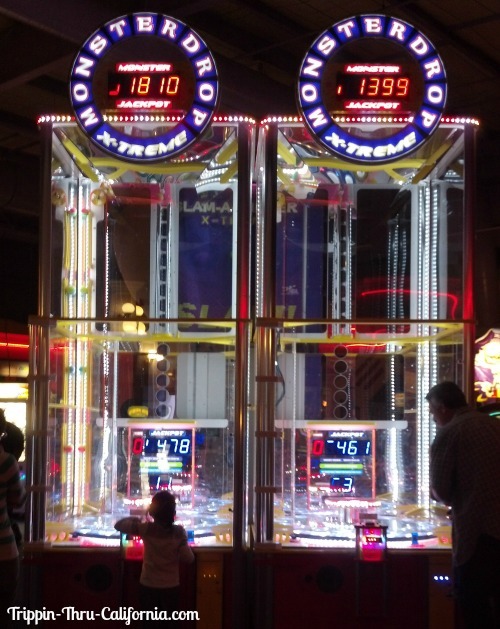 Win tickets on games to receive prizes. $7.50 per game (includes two free video games). 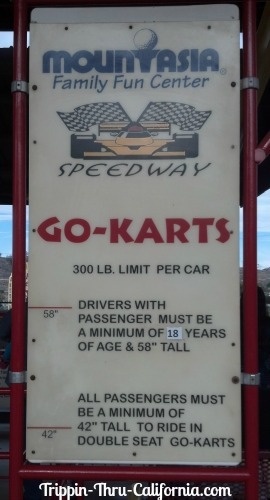 Under 3 is free and ages 55+ save $1. 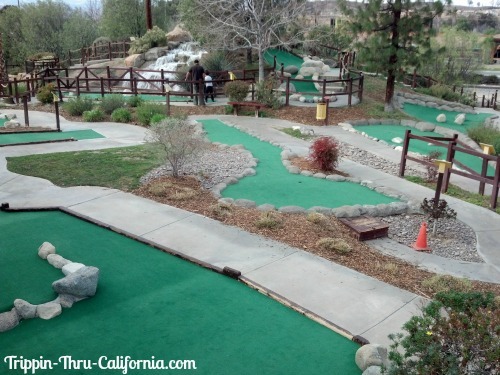 Early bird golf special: $5.00 but must be there within the first 30 minutes of the day. 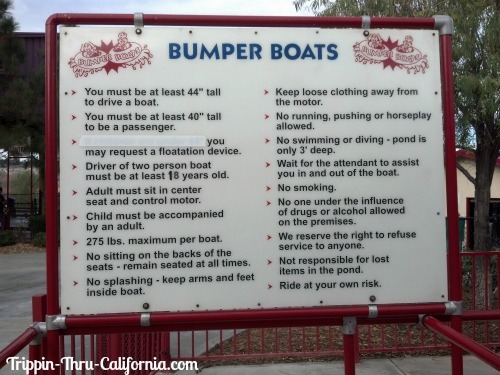 The Bumper Boats at Mountasia are fun, especially in the summer. 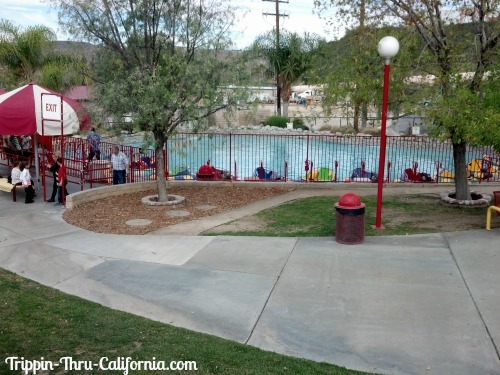 In the colder months they turn off the waterfalls and squirters so you hardly get wet. 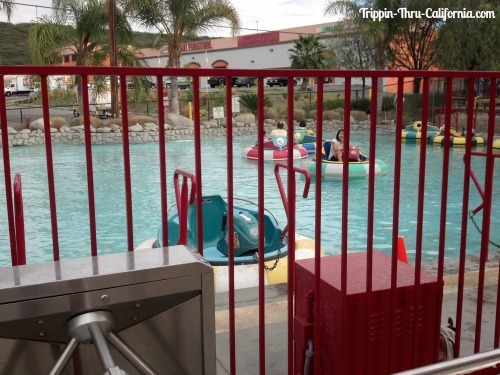 There are tiny little squirters on each boat that can be used all year round. 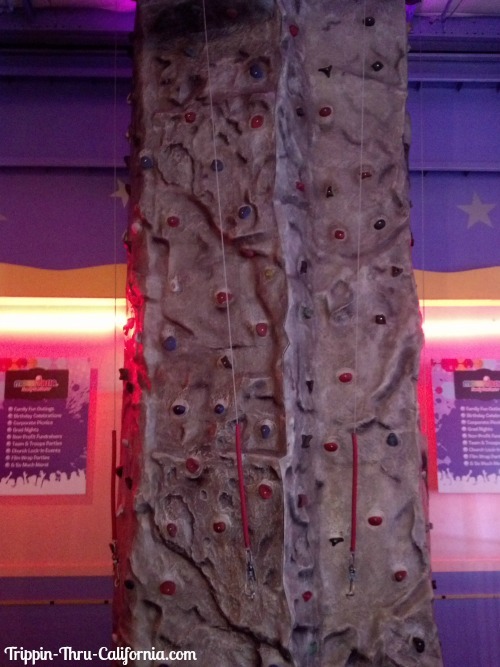 Both the Lazer Tag Game and the Rock Climbing Wall are $7.50 each (includes two free video games) or $26.95 for four rounds. 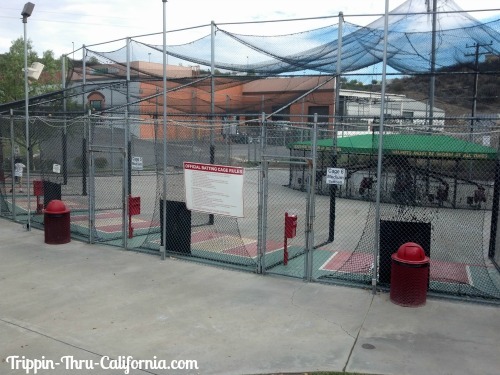 Yep, just like the other attractions at this fun center, the Batting Cages are $7.50 for a round (includes two free video games) or $26.95 for four plays. 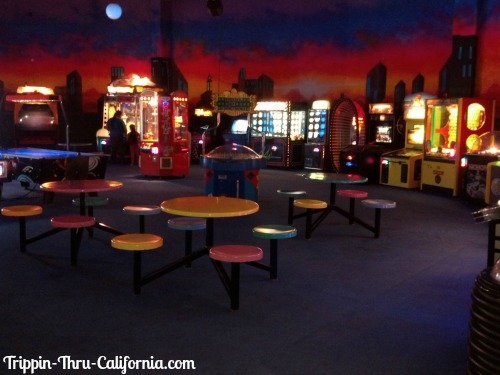 Mountasia Family Fun Center offers several different party packages to fit your groups needs. The prices are pretty reasonable considering what you get in each package. 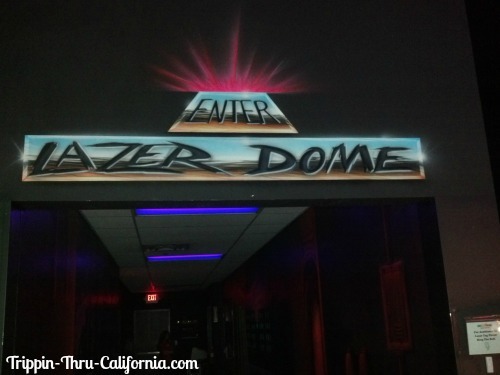 Call 661-253-4FUN for more info. 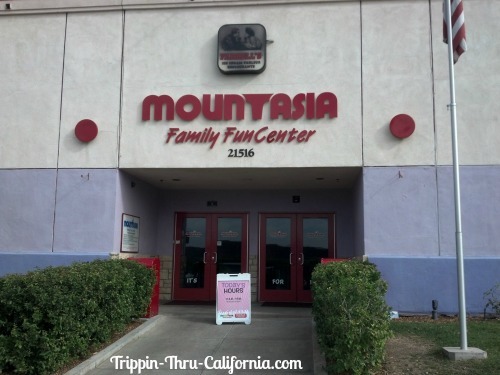 Admission and Parking to Mountasia is FREE! Looking for hotels? Search and compare 100s of the best travel sites right here! Note: This information was accurate when I published it, but can change without notice. Please be sure to confirm all rates and details before planning your trip. 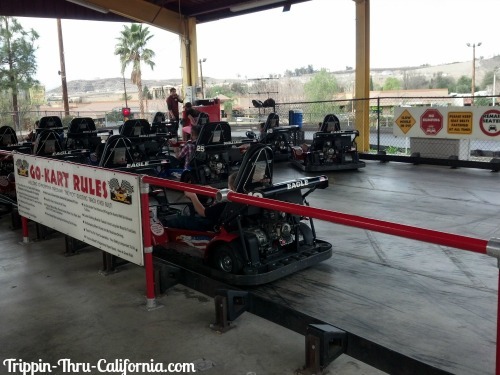 Call 661-253-4FUN for more information. 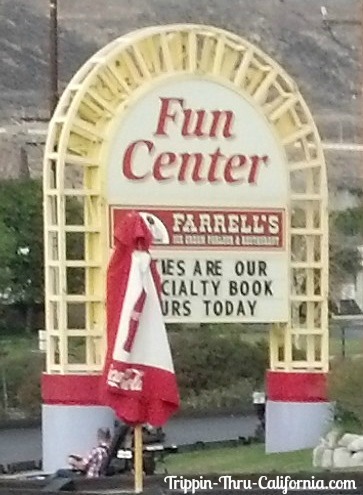 That red & white flag is in the way but the sign says, "Parties Are Our Specialty Book Yours Today"